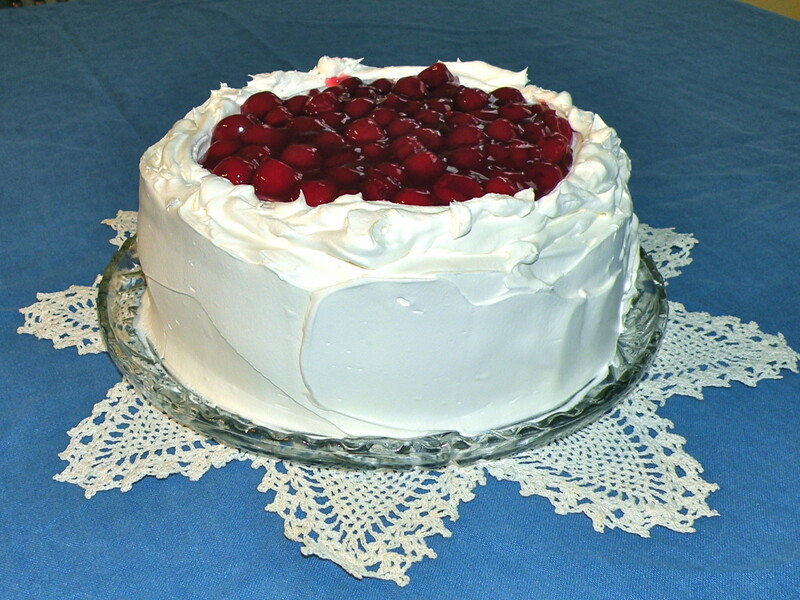 This is not a dessert for those watching their weight, but a fantastic dessert for those who love food and enjoy life. I first tried a creme brulee at my sister in-laws wedding, it blew my mind and wondered why i had never had it before. Better still, I found out that replicating this amazing dessert is really not that hard even for novice bakers. When you have a basic recipe under your belt you can then venture out into new flavours for your brulee. All you will need to do is boil the milk, add a flavour ie. lavender, basil, rosemary and leave it to infuse for about 30 mins, then strain off the herbs from the milk. Get yourself a relatively inexpensive blowtorch to be able to caramelize the sugar, alternalively if you have a grill you will be able to brown the sugar by grilling, but to be honest a blow torch is much more fun. Creme Brulee is also known as Burnt cream , Crema catalana or Trinity cream since some believe its birth place to be from Trinity college, cambridge.It is said that in 1879 the custard was made and then the college coat of arms was branded on top of the cream. There is much debate as to where it originated whether England, France or some other part of Europe, lets just be thankful that we have it at all. 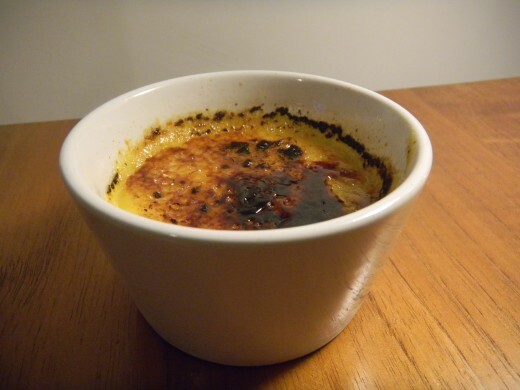 In 1691 François Massialot published in his cookbook the earliest reference to creme brulee using a french name in the english translation of his book and then later changed to "creme ainglaise"
Pour the cream & milk into a milk pan and bring to the boil. When boiled, remove from the heat and place to one side. 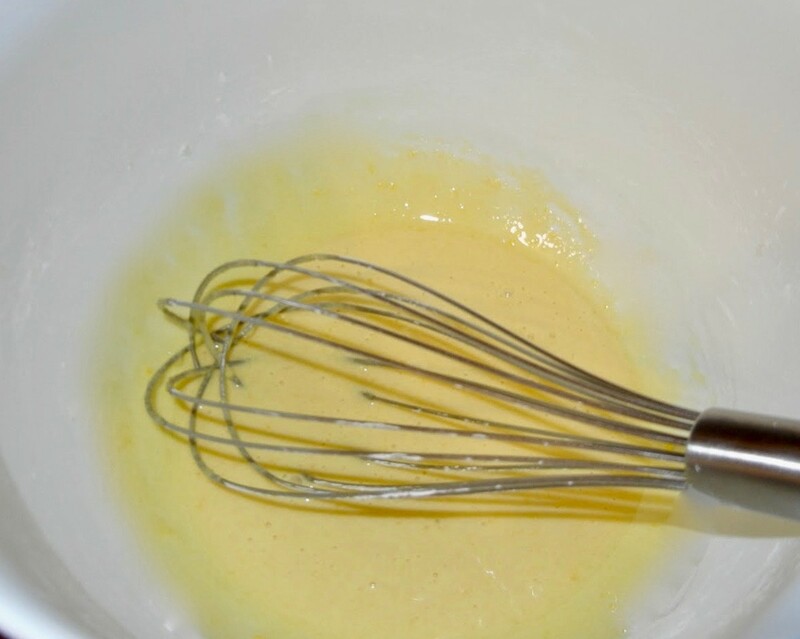 In a seperate bowl whisk the egg yolks and sugar together. Add a little hot milk to the yolk mixture and stir in well. Pour the mixture into pan of the heated milk/cream mix and stir to combine well. Add a teaspoon of vainilla paste and mix in well. Heat the oven to 150C/gas 2. Place 6 ramekins into a roasting tray and pour in the custard mix filling each one evenly. Pour boiling water into the roasting tray until filling half way up the ramekins. Cover with aluminium paper and place in the oven for 40-50 mins. 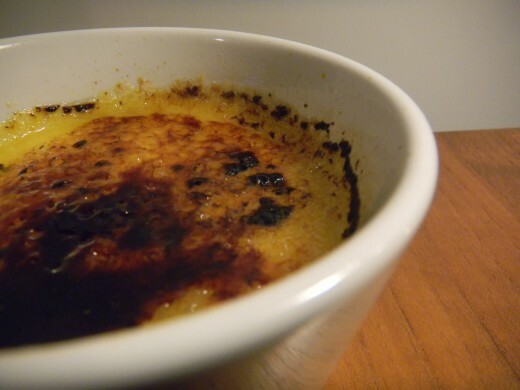 The brulee is cooked when it has a slight wobble in the middle. You may need to cook for a few mins longer depending on the heat of your oven. Remove them from the roasting tray and allow to cool, then refrigerate for 2-3 hrs. The fun part: Remove from the fridge and leave till they are at room temp. sprinkle generously with sugar and place under the grill or with a blow torch caramelize the sugar. Try different flavours for your brulee by omitting the vainilla and adding some herb to your heated milk and leave to infuse for about 30 mins. strain the milk before adding to the cream. 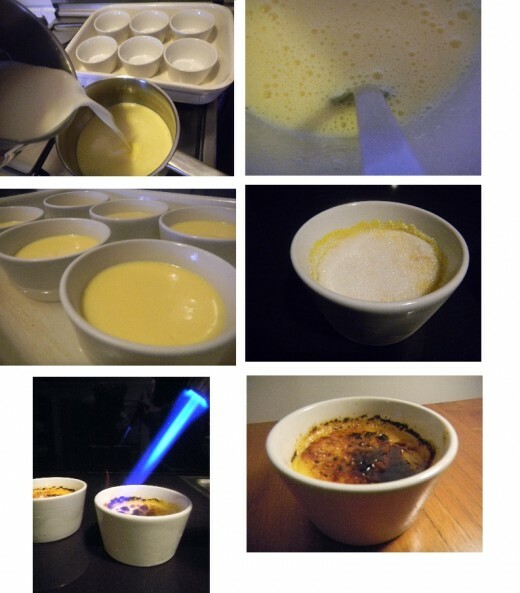 I absolutely adore Creme Brulee and this looks wonderful. Thanks for the recipe. I will definitely be trying this one! This is my favorite at the moment. wish i had learnt it years ago, i never knew it was so easy. and great fun with a blow torch as well. This koos amazing! I love Creme Brulee. I have a converter for the measurments. 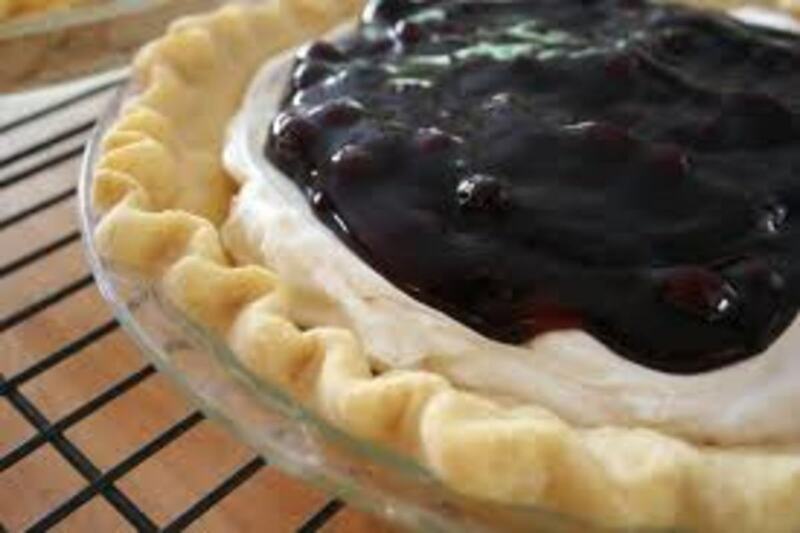 Thanks for sharing this lovely recipe. It is dangerous making this dessert since you make 6 in one go, and they are addictive, but who cares just enjoy life and food.